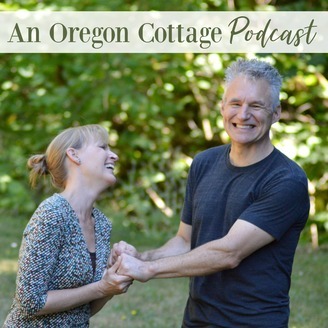 Join Jami Boys of the website An Oregon Cottage and her husband Brian (always a co-conspirator in DIY projects and videos) as they discuss cooking simple, real foods, growing food and flowers, and tackling easy home improvement and decor projects - the kind everyone can do. You'll hear the things that went well, as well as things that didn't go according to plan (that you just have to laugh about). Never ones to get hung up on perfection or abilities, they believe everyone can make a house a home and live a simple handmade life. Whatever level you want to create things, whether it’s full-throttle make everything from scratch or just dipping your toes into cooking or creating a warm home environment, you’ll find something here you can use - and have fun doing it. 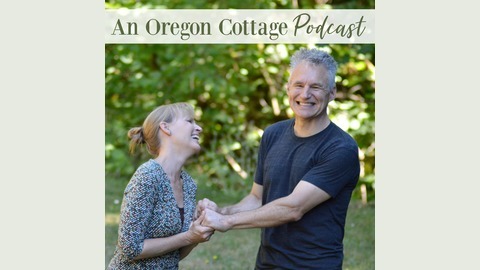 Jami and Brian discuss an article that lists the most popular DIY projects that people take on, and then the ones they most regret trying themselves. Jami and Brian then list their own DIY projects they hope they never have to do again, followed by the ones they're actually looking forward to. Brian shares some farmhouse updates. Jami has some Easter/Spring menu ideas. And they both share some cool things they've discovered recently. Should You Eat The Same Thing For Breakfast Every Day? What's with Americans & Paper Towels?